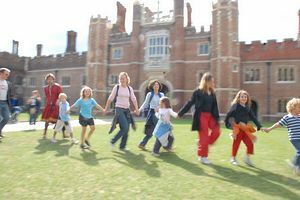 For over 500 years, Hampton Court Palace has stood serenely on the banks of the River Thames. Many important historical figures, including 12 monarchs, have fallen helplessly for her charms. Will you join them? One of Henry VIII's most enduring passions was for the palace on the Thames. To this day, you can still experience the beauty that so enthralled him, as you stroll around six acres of magnificent buildings. Each and every corner will capture your heart. These splendid apartments make the ideal start to your tour. 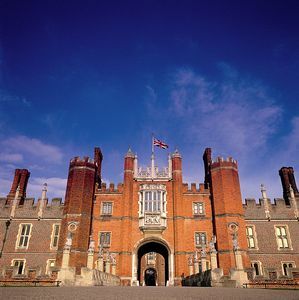 Experience palace intrigue at first hand as a free sound guide opens up the private world of King George II and Queen Caroline in their most intimate surroundings. Beneath the colonnade in Clock Court is the entrance to the King's Apartments lovingly restored to their full glory after the fire of 1986. Here, you'll find the King's Great Bedchamber and his Eating Room as well as the magnificent King's Staircase. 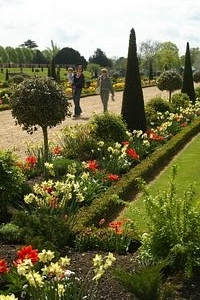 Explore the 60 acres of beautiful gardens, then try unravelling our world famous maze. 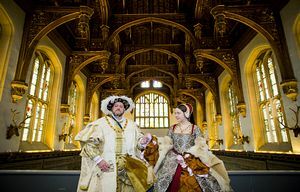 Up the staircase, beneath Anne Boleyn's Gateway, you'll find the state apartments of Henry VIII, the setting for some of the key events in his life. Here, he learnt of betrayal as well as experiencing the joy of seeing his son baptised. History will never have seemed so vivid. 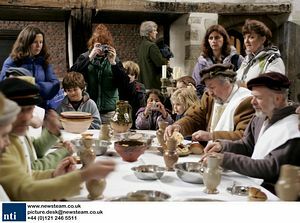 With 1000 meals to be served in Henry VIII's Great Hall every day, the kitchens were always busy. Why not pick up some of the mouth-watering recipes at the kitchen shop? Cut through the immaculately kept courtyards as you head towards your next port of call. You never know what you might find in the way! By Car: From the M25 take either exit 10 and A307, exit 12 and A308 or exit 15 and A312. Parking is available. 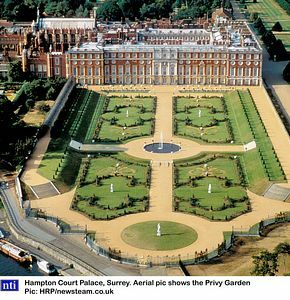 By Train: 32 minutes direct from London Waterloo to Hampton Court Station. By River Launch: From Westminster, Richmond or Kingston. By Bus: 411, 111, 216, 451, 461, 513, 726, R68, 267 (Summer Sundays only); Green Line Coach from Victoria: 718.